The AmeriGlide Pool Lift is a comfortable, easy-to-use solution for swimmers who have trouble getting in or out of a swimming pool. 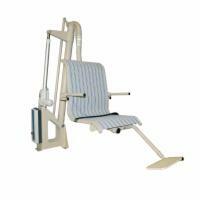 The sling seat is fully submersible and designed for comfort, with a foot plate and arm rests that offer support when needed and can be folded out of the way when not in use. The sealed hand control is simple to operate, allowing the passenger to control how low or high the seat goes. 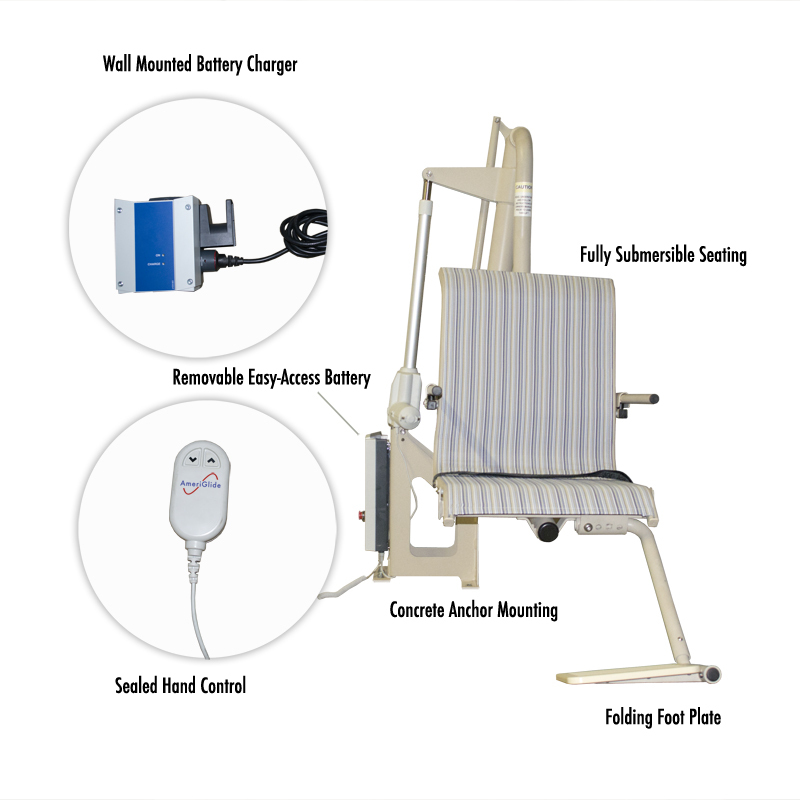 The AmeriGlide Pool Lift lowers to 26" and is ADA-compliant according to the latest regulations that took effect in 2013. Four concrete anchors securely mount the lift to the deck at a depth of 4”. 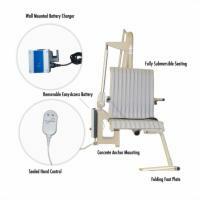 The pool lift can also be easily unbolted from your deck for seasonal storage. Special features include a hand controller and battery pack that are easily removed for safe storage until the lift is needed, thus eliminating the problems associated with unauthorized use at pools without life guards or staff. 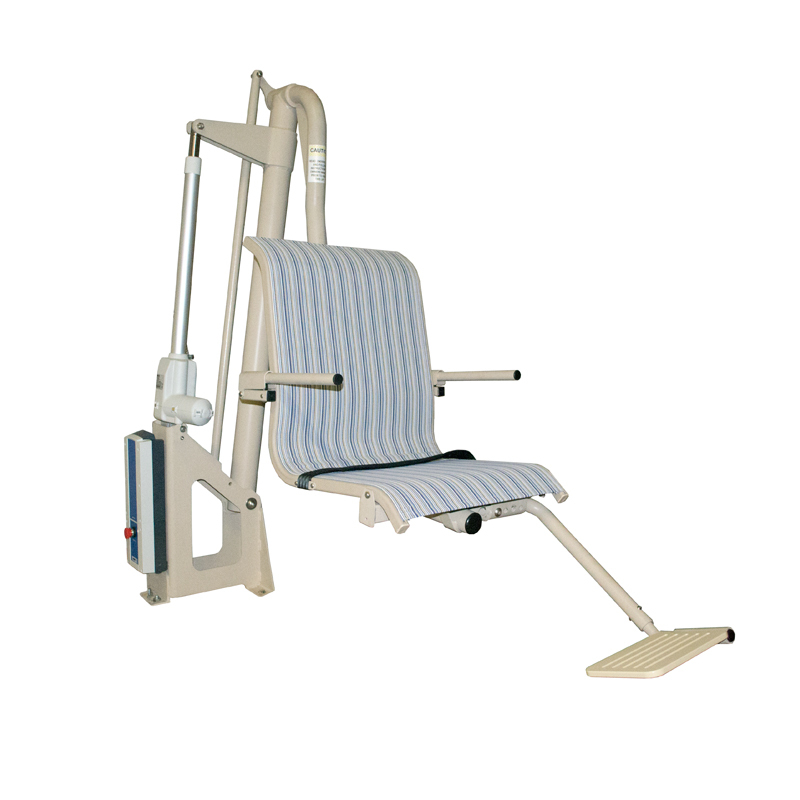 This lift is manufactured by to meet the same high quality standards that have made AmeriGlide the lift leader in the USA. From top to bottom, every detail of this lift has been designed and constructed to operate at an optimal level and provide years of low maintenance service. Our competitors will show you a lower price, but beware. The price will quickly inflate as they add up the cost of "upgrades" that come standard with this model . . .